Mr. Annecchino is Vice President of Property Management for Ivy Realty and is responsible for the daily operations of over 1.3 million square feet of property including budgeting, tenant relations, capital improvements, preventative maintenance programs, contract maintenance and oversight of property policies and procedures. Mr. Annecchino has extensive hands-on experience in maintaining and troubleshooting building systems and has also been directly responsible for transitioning multiple Fortune 500 companies into Ivy facilities. 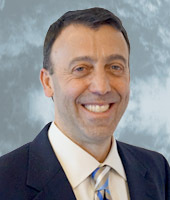 Mr. Annecchino has over 15 years of experience in property management. Prior to joining Ivy, Mr. Annecchino worked for Mack-Cali Realty where he covered in excess of 1.7 million square feet of property. From 1989 to 2000, Mr. Annecchino worked as an owner /operator of a full-service landscape and commercial building maintenance company. He is a member of the NJ Chapter of BOMI, and a licensed NJ Real Estate sales person.